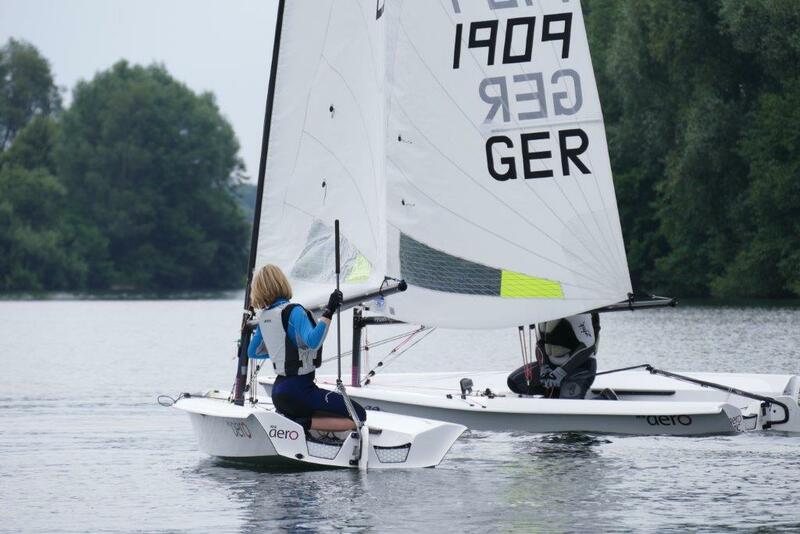 The German RS Aero fleet met for the fourth in their series of regattas through 2017 at Krefeld on the Elfrather See, hosted by Segel-Club-Crefeld e. V.. Eleven sailors were entered and nine competed in the regatta, all in RS Aero 7s. On Saturday it was sunny and calm, with winds around 4-8 kn. Four triangular route races were completed on the first day. 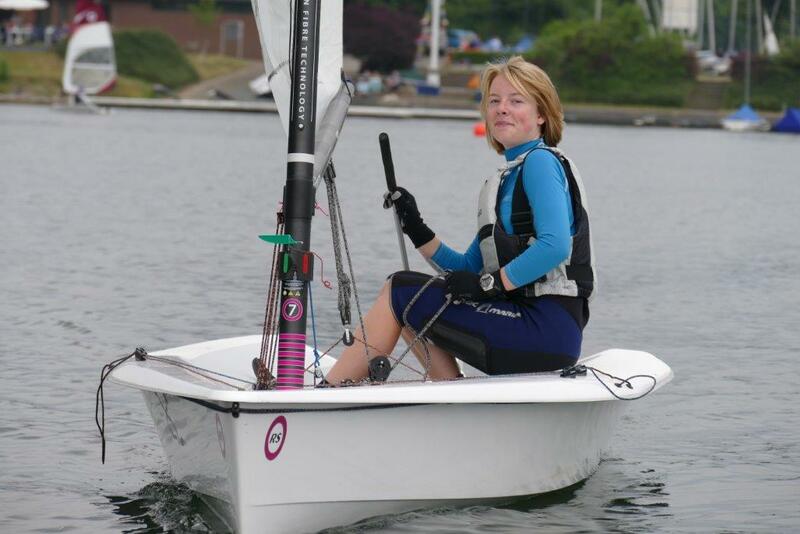 In light winds, it was a thrilling triple-header between Kim Gouverneur, a 15 years old lightweight woman, from Seglergemeinschaft Lohheider-See. The local top dog Malte Glaser, Segel-Club-Crefeld and Jorn Domres, Seglerverein Harlebucht. The wind kept turning, so all four races where narrow decisions. In the last race Jorn Domres won the day in a duel with Malte Glaser. After the races the competitors enjoyed the nice place at Segel-Club-Crefeld and the barbecue in the evening. On sunday there was not enough wind for another competition, so there was a fun adventure race, together with 13 Bic' Kids, who held a regatta on same place. 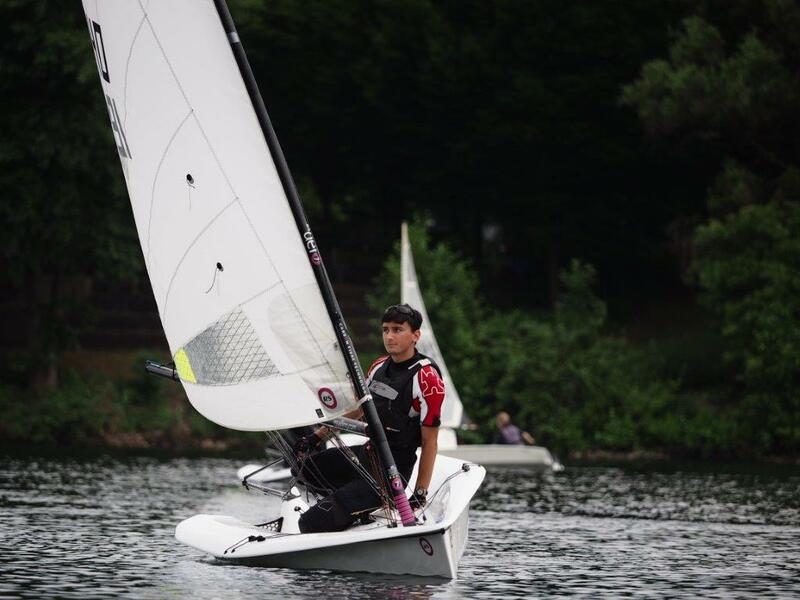 Five German sailors are now entered for the first ever RS Aero World Championships in Carnac France in July where eighty RS Aeros are now pre-entered. 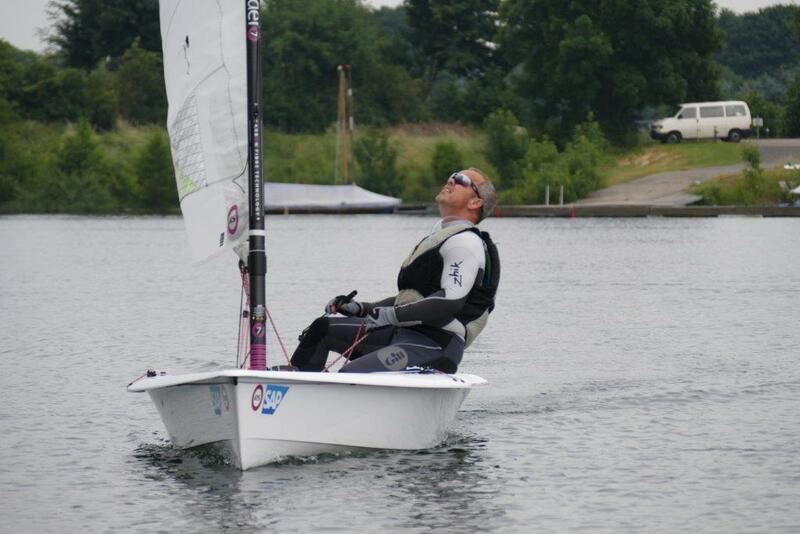 Jorn Dormes has signed up to compete and these regular events will all help produce good practice for the big one.